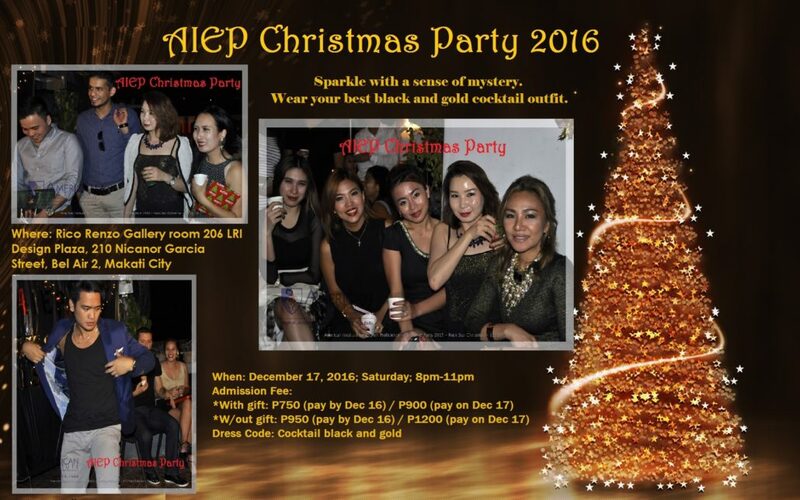 Join AIEP’s Christmas Party 2016! Sparkle up with a sense of mystery. 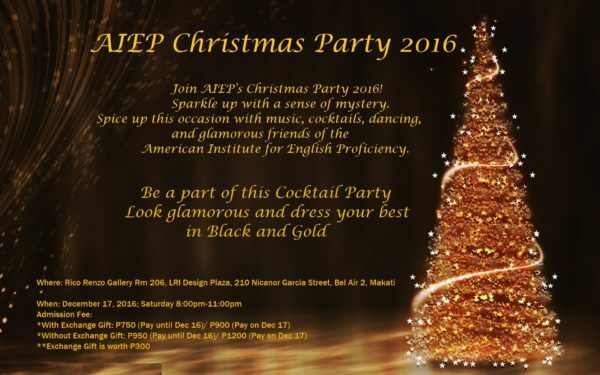 Spice up this occasion with music, cocktails, dancing and glamorous friends of the American Institute for English Proficiency. Be a part of this Cocktail Party. Look glamorous and dress your best in Black and Gold. Rico Renzo Gallery Rm 206, LRI Design Plaza, 210 Nicanor Garcia Street, Bel Air 2, Makati City.